In New Orleans, where grown men sweat 24 hours a day, there’s some history and there’s a groove. The history is etched upon the faces of the myriad cultures that call the Crescent City home, it is prevalent in the architecture and the way of life and the food and the Dixie beer. The groove though, that’s just in the air, it’s what you breathe as you stroll down Bourbon Street or sit in Congo Square, it’s what defines the people and the vibe and the ethos of The Big Easy, a place where good men go to die and the rest of us stagger out sated, but never full; in N’awlins, the groove always lives on. If you step off the beaten track then, outside of the French Quarter, away from the tourist hotspots, you’ll come across the real city, the places where the legends were born, places where music was made that still resonates today, with a verve and raw power that epitomises the base urges of this huge, sweaty melting pot. Music that lives and thrives, music that has inspired countless others (it’s part of that history), music that is its own entity, its own life-force, a force which has fuelled so many for so long. Guys like Professor Longhair, Fats Domino and Champion Jack Dupree got the ball rolling, guys like Dr. John, James ‘Sugar Boy’ Crawford and Irma Thomas have kept it going, the barrelhouse piano and jump ‘n’ jive of that distinct New Orleans R&B running thick through their veins, where a horn section is never far away, where you know there’s somethin’ cookin’, and it ain’t always BBQ. And then of course, there’s the King. 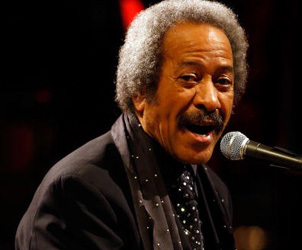 The man perhaps most responsible for all of this, and more, and this man is a true giant amongst men, amongst musicians, amongst all and sundry, a true legend, Mr. Allen Toussaint. Toussaint will, later this month, make his first appearance in Australia, but don’t go thinking that this is because he hasn’t been around. 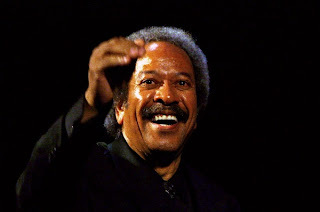 For Toussaint, even though his name won’t ring as many bells as some others’ will, is a giant of our time. As a pianist and arranger, he’s contributed to literally hundreds of albums over the past 40 years (including records from Wings, Eric Clapton and Elvis Costello), but it is his producing and songwriting for which he is best known. As a producer, he’s worked with the likes of The Meters, Dr. John, BJ Thomas, Solomon Burke and Sandy Denny, and as a songwriter, he’s had his songs covered by almost anyone you can think of – the Rolling Stones (‘Fortune Teller’, also covered by The Who, The Hollies and Robert Plant), Boz Scaggs (‘Hello My Lover’, amongst others), Irma Thomas (‘Ruler Of My Heart’), The Yardbirds (‘A Certain Girl’, also covered by Warren Zevon), Ringo Star (Sneakin’ Sally Through The Alley’, also covered by Phish), Iron Butterfly (‘Get Out Of My Life, Woman’, also covered by The Doors amongst others), Little Feat (‘On Your Way Down’, also covered by Trombone Shorty and Widespread Panic), Bonnie Raitt (‘What Is Success’), The Band (‘You See Me’), Bo Diddley (‘Going Down’), Van Dyke Parks (‘Riverboat’), you name it; Allen Toussaint is a songwriting legend, he’s New Orleans’ finest, he’s the Southern Knight and he’s still got that groove.